Hatchimals Nursery Playset Just $22.49! Down From $80! Shipped! You are here: Home / Great Deals / Amazon Deals / Hatchimals Nursery Playset Just $22.49! Down From $80! Shipped! Head over to Amazon to score this Hatchimals Nursery Playset for just $22.49 down from $79.99 PLUS FREE shipping! The Hatchery Nursery is the perfect place to hatch and care for your baby Hatchimals. At the center of the nursery is a tree that really helps you hatch! With over 35 different places to play and display, including a slide, swing, cribs and more! 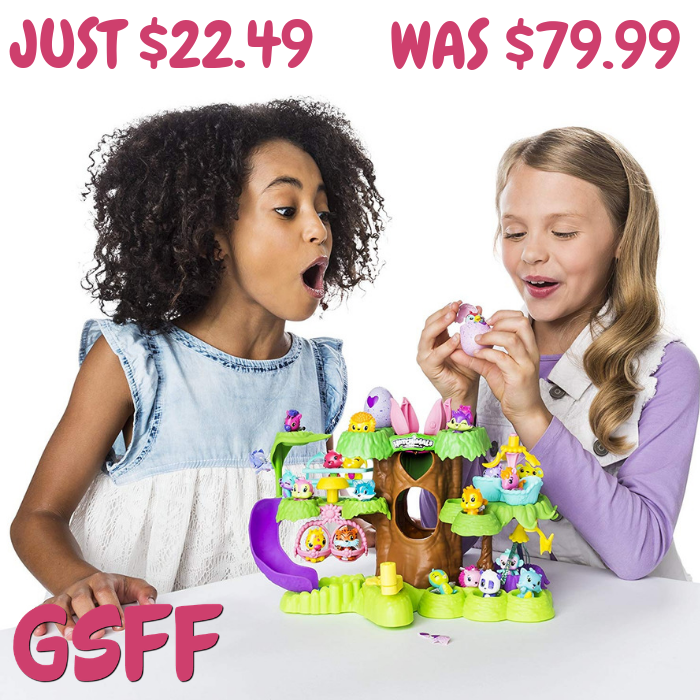 There’s so much for your Hatchimals to discover!